350 The Napinka Subdivision, Mile 0 to Mile 49. 2011/05, Former CPR/Napinka Sub. mile 21.1, N.W. 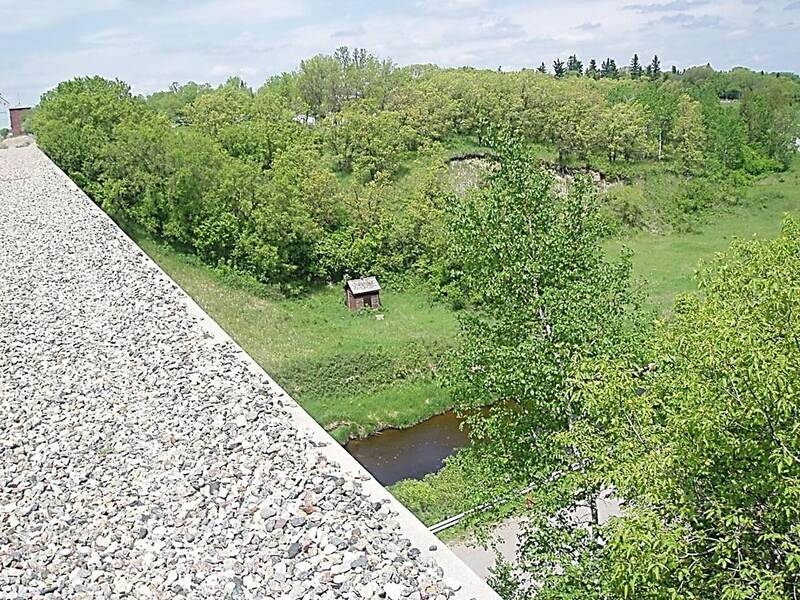 view from ballasted bridge deck looking down at Long River and pump house supplying Manitoba’s only standing CPR wooden water tower (upper left along track bed). Notice access road (lower right) under bridge leading to the village of Clearwater (located in upper right of photo). (Click on photo for detail) © Text and Photos exclusive copyright of N. Froese. This entry was posted in Uncategorized on 2015-06-04 by nfroese.